Posted on June 21, 2017 | 1472 views | Topic : News & Articles, Property News. IT IS time to give due attention to the row of derelict houses staring into the busy Jalan Raja Chulan in Kuala Lumpur and the dozens of abandoned units behind it. A call has been made for the wave of adaptive reuse under urban regeneration efforts to preserve this forgotten, but highly visible zone. 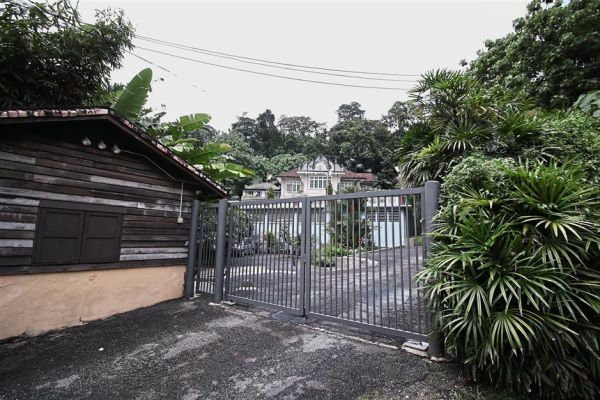 The old houses – including the Serani Row once resided by elite members of the Eurasian community have high potential as they stand at the foot of the KL Tower that connects to the KL Forest Eco Park (formerly known as Bukit Nanas Forest Reserve). 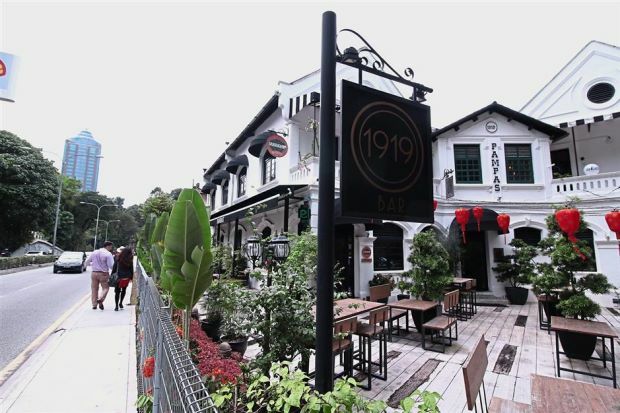 Part of the cluster of old houses have been transformed into the chic Old Malaya dining enclave under an adaptive reuse initiative by local entrepreneurs Datuk Syed Mustaffa Shahabuddin and Kana Theva. The site behind Old Malaya in Jalan Raja Chulan is owned by different individuals and unlike what is seen in this photo, most of the bungalows here are left to rot for decades. 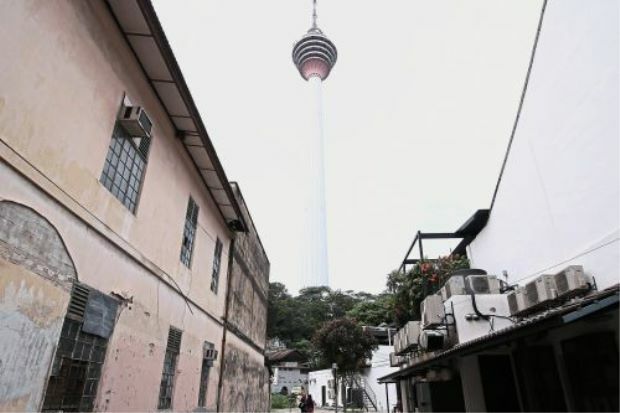 “If Old Malaya can be linked by steps to the road leading to KL Tower, which already has an access to the forest reserve, maybe in time this new walking circuit can even become another interesting heritage trail for Kuala Lumpur,” said consultant creative and public relations director Wayne Joseph. “Having these three tourist attractions all in one will create a new trail of discovery, relaxation and recreation for Kuala Lumpur folk. “My goal is to bring to fruition adapted reuse of this inner city green space for all to enjoy for free,” he added. He also said that it would be a viable move based on the success of other adaptive reuse cases in Kuala Lumpur. This trend has turned many old or abandoned buildings into popular destinations among city folk. 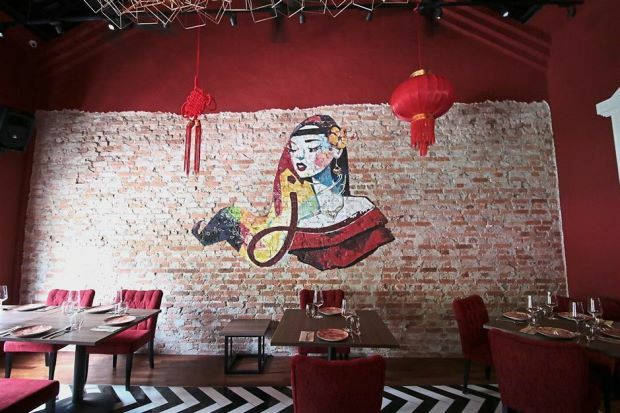 The Old Malaya dining enclave has injected new life into Jalan Raja Chulan. “In addition to the excitement brought forth from preserving Old Malaya, we feel just as passionate about conservation of the area surrounding it,” added Joseph. He said if the path was paved, the abandoned structures there would have a better chance of revival with investors capitalising on the projected foot traffic. “Some of the units have the perfect structure and location to be bed- and-breakfast lodgings,” he added. The land at the back of Old Malaya holds a secret past that few are yet to experience. Abandoned historical villas covered in vines are waiting to be rediscovered by a new generation of KLites. The old brick wall that has been decorated at Old Malaya. Joseph called for cooperation from the public and private sector to make the idea work, adding that the operators of Old Malaya would also give their support. A few quarters provided their suggestions as to what could be done to spruce up this area. Malaysian Institute of Planners president (MIP) Ihsan Zainal Mokhtar welcomed the idea to create a link between Old Malaya and the KL Tower and recommended that it be highlighted as a continuation of Bukit Nanas. He noted that the pocket of land right in the city centre had a lot of potential but reminded that any development there should not be of high density due to its proximity to the hills of Bukit Nanas and Bukit Ceylon. Ihsan said the draft Kuala Lumpur City Plan 2020 had drawn the area as a combination of green and commercial zone, suggesting that the area be rehabilitated. 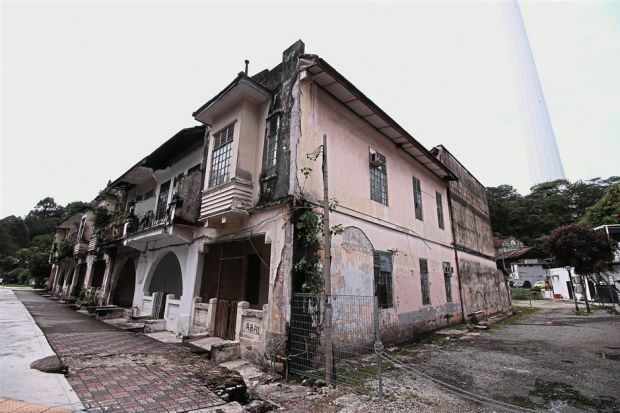 The Serani Row where elite members of the Eurasian community once lived is now an eyesore right in the centre of Kuala Lumpur. “A park-like development to turn it into a mini wetland with cafes, complete with an outdoor museum and a tourist information centre, would be great. “Repair and utilise the abandoned bungalows, complement them with water features and the right plants, the area will surely become another gem for city folk to enjoy the country’s rich nature and culture,” he said. “Its existing condition is a complete waste, something should be done to save it,” he added. He pointed out that land issues might have been the main setback for the rejuvenation process all these years. Ihsan said it could be due to the owners not giving their consent or could not be traced, but the Town and Country Planning Act 1976 (Act 172) and National Land Code provided options for the local government to work around that through the stipulated procedure, albeit long and tedious. Meanwhile, Kuala Lumpur City Hall (DBKL) confirmed that most plots in the area were privately owned and they could not proceed with any plan without the owners’ co nsent. 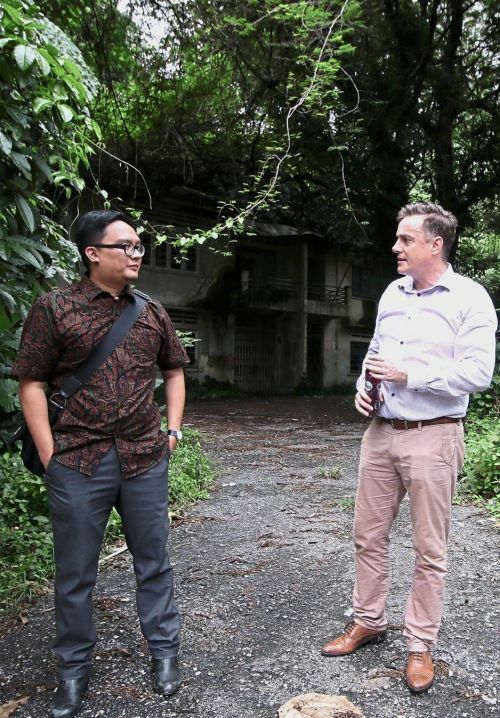 Property consultancy Savills Malaysia executive chairman Datuk Christopher Boyd pointed out that a large part of the site behind Old Malaya was recently sold decades after it was made available in the market, while the rest were private land. He noted that it would be difficult to develop the site, an indication that turning it into a green lung with low-density buildings might be the better choice. “The large part that was recently sold had two problems, the Serani Row is not very deep from the front to the back. “Any redevelopment would require setbacks and a service road that would swallow up most of the site. “Therefore, the only option if you wanted to redevelop would be to acquire the land at the rear and make the site deeper, but some owners are not selling. Boyd added that another hindrance to redevelopment there was that the land at the back was next to the Bukit Nanas forest reserve, whereby a buffer of 60m must be kept. Malaysian Institute of Architects (PAM) president Ezumi Harzani Ismail praised the proposal as it would capitalise on the site’s advantage of being near two landmarks, but cautioned that even a “green” development as suggested needed to be watched closely. “DBKL needs to establish a set of comprehensive guidelines and regulations about developing environmentally sensitive area such as this. “Bukit Nanas Forest was gazetted as a forest reserve since 1906 with a land area of 17.5ha, but since then, a large portion of it was developed for the KL Tower project and other purposes. “Currently, the forest reserve covers only 9.3ha. As proven by the conservation efforts undertaken by Old Malaya, old features retained will have an immense appeal once the buildings are revived through adaptive reuse. 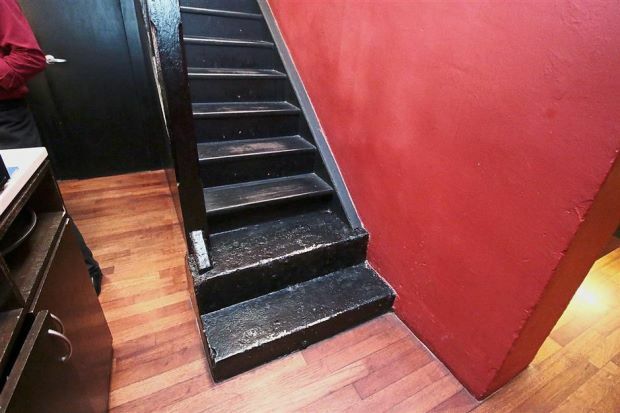 Shown here is an old wooden staircase. “Therefore, without guidelines to ensure that this site would be conserved for a green lung, city dwellers may have to deal with yet another episode that challenges the environment and the city’s eco-system,” he said. He noted that even if the land issues could be settled, site and environment impact analyses were vital. The next step would be to look into the environmental, social and economical sustainability of the project. “The project itself has to be able to generate certain amount of income to cover the cost of operation and maintaining it. Otherwise, it will be a sick ‘building or project’ a few years later,” he said. Kuala Lumpur Forestry Department director Ag Shaffie Ag Ahmadni said the proposal to build a footpath that would bring higher traffic to Bukit Nanas was not against the department’s policies. However, it will still be subject to the status and requirements of the land plots involved, he added. Currently, there are four recommended trails in Kuala Lumpur. Trail One is the 2.5 hour Kuala Lumpur Heritage Trail that starts from Kuala Lumpur City Gallery in Dataran Merdeka, before moving on to 11 historical sites including the Sultan Abdul Samad and Royal Selangor Club buildings. Trail Two (Old Kuala Lumpur and Nature Walk), starts from the Loke Chow Kit Mansion in Jalan Tangsi into Petaling Street, turns at Jalan Gereja, Jalan Raja Chulan before concluding at the KL Forest Eco Park. Joseph’s suggestion will enable this trail to also cover KL Tower and other interesting places before reaching Bukit Nanas. Trail Three and Four covers Kampung Baru and Kuala Lumpur’s night walk respectively.